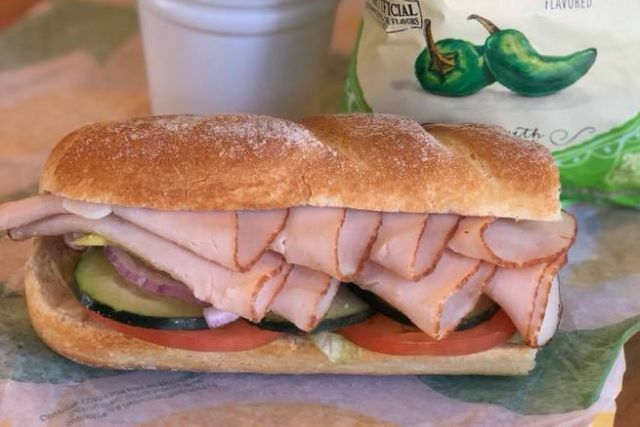 Subway is testing new breads that are baked every four hours daily out in Orange County, CA. The new breads include a new hoagie and Dutch crunch roll and are made in new ovens that can proof, bake, and steam in the same compartment. Dutch crunch (also known as "tiger bread" by the Dutch apparently) is a type of bread that is popular in the SF Bay area in California. It has a mottled, crunchy crust due to a coating of rice paste before baking. Appearance-wise, the new bread is scored and looks crispier at the surface than their current bread (which is pretty soft all-around). In comparison, bread in your typical Subway is baked at least twice daily. 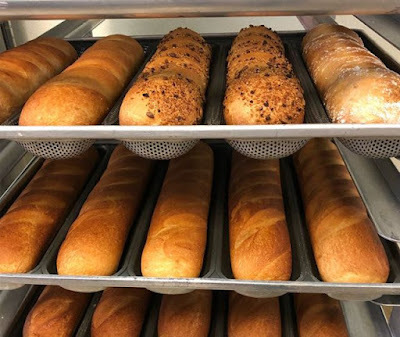 The new breads are currently being rolled out throughout Orange County.